We thought we were something, didn’t we? I look at my kids in school–tenth, eleventh graders. That’s who we were. Children. I mean what did we know about anything? When Nando died–it was so sudden–I was kind of in shock for awhile. Then I woke up and there was the whole rest of my life and I didn’t have any idea what to do with it. You know the other day, you asked why I came back? I came back ’cause you were here. “Chan-wook Park”. IMDb.com. Web. Available at http://www.imdb.com/name/nm0661791/. Accessed 13 October 2015. FoxSearchlight. “STOKER featurette: “Director’s Vision””. youtube.com. Web. Posted 05 March 2013. Available at https://www.youtube.com/watch?v=mu5wu1iC4bE. Accessed 13 October 2015. Jim Turnbull. “Sympathy For Mr. Vengeance Remake Scheduled”. The Good, The Bad and the Average. Web. Posted 22 March 2013. Available at http://goodbadaverage.com/2013/05/22/sympathy-for-mr-vengeance-remake-scheduled/. Accessed 13 October 2015. “Lone Star”. John Sayles. DailyScript.com. http://www.dailyscript.com/scripts/lone_star.html. Web. Accessed 13 October 2015. RedCarpetNews Extra. “Stoker director Chan-Wook Park Interview”. youtube.com. Posted 10 March 2013. Web. Available at https://www.youtube.com/watch?v=mO7XnwpzQB4. Accessed 13 October 2015. The Here and The Now. “Oldboy Epic Fight Scene”. youtube.com. Web. Posted 18 March 2008. Available at https://www.youtube.com/watch?v=Ufss5ot_vGE. Accessed 13 October 2015. A Tale Of Two Sisters (2003). Directed by Jee-Woon Kim [Film]. UK: Tartan Video. J.S.A. Joint Security Area (2000). Directed by Chan-Wook Park [Film]. UK: Tartan Video. Lone Star (1996). Directed by John Sayles [Film]. USA: Warner Home Video. Oldboy (2003). Directed by Chan-Wook Park [Film]. New Zealand: Rialto Distribution. Peppermint Candy (2000). Directed by Chang-Dong Lee [Film]. UK: Third Window Films. The Host (2006). Directed by Joon-Ho Bong [Film]. New Zealand: Madman Entertainment. Thirst (2009). Directed by Chan-Wook Park [Film]. New Zealand: Madman Entertainment. Three … Extremes (2004). Sections directed by Chan-Wook Park, Takeshi Miike, and Fruit Chan [Film]. USA: Lions Gates Films. Sopyeonje (2000). Directed by Kwon-Taek Im [Film]. Japan: Cine Qua Non Films. Spring, Summer, Fall, Winter … and Spring (2003). Directed by Ki-Duk Kim [Film]. New Zealand: Rialto Distribution. Stoker (2013). Directed by Chan-Wook Park [Film]. USA: 20th Century Fox. Sympathy for Lady Vengeance (2005). Directed by Chan-Wook Park [Film]. Australia: Madman Entertainment. Sympathy for Mr. Vengeance (2002). dir. Park Chan-Wook. [Film]. Australia: Madman Entertainment. Andrew Robinson. “What I’ve been watching Mar 3 – Mar 9”. G Man Reviews. Posted March 10 2013. Web. Available online at http://www.gmanreviews.com/what-ive-been-watching-mar-3-mar-9/. Accessed 13 October 2015. Because I Like Movies. tumblr.com. Web. Available online at http://hs-gifs.tumblr.com/post/34911353232. Accessed 14 October 2015. Brian Tallerico. “Blu-Ray Review: Park Chan-wook’s ‘Vengeance Trilogy’ Earns Amazing Release”. Hollywood Chicago. Posted 15 June 2010. Web. Available at http://www.hollywoodchicago.com/news/11001/blu-ray-review-park-chan-wook-s-vengeance-trilogy-earns-amazing-release#ixzz3oULNlDbX. Accessed 13 October 2015. Brian Darr. “Adam Hartzell’s Two Eyes”. Hell On Frisco Bay. Web. Posted 15 January 2011. Available at http://hellonfriscobay.blogspot.co.uk/2011/01/adam-hartzells-two-eyes.html. Accessed 13 October 2015. Drew P. “JSA: Joint Security Area: Blood on the border”. Korean Grindhouse. Web. Posted 22 August 2009. 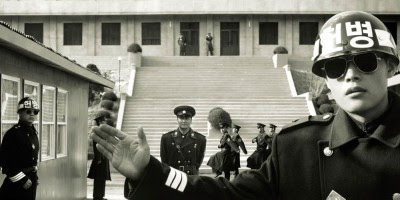 Available at http://koreangrindhouse.blogspot.co.uk/2009/08/jsa-joint-security-area-blood-on-border.html. Accessed 13 October 2015. Guna B. Everyday. tumblr.com. Web. Available online at http://gunaeveryday.tumblr.com/post/22491481388/sympathy-for-mr-vengeance-2002-chan-wook-park. Accessed 25 October 2015. Obiwanskenobi. “Film Meme [4/7] Directors”. tumblr.com. Web. Available at http://obiwanskenobi.tumblr.com/post/52970485503/film-meme-47-directors-park-chan-wook-i. Accessed 25 October 2015. Park Chan-Wook on Stoker, Femininity, and his Vengeance Trilogy. 3 News. Article on web. Available at http://www.3news.co.nz/entertainment/park-chanwook-on-stoker-femininity-and-his-vengeance-trilogy-2013081311#axzz3oTY7kwj4. Accessed 13 October 2015. Rowena Santos Aquino. “Revenge Week: Filmic Self-reflexivity and Revenge in Park Chan-wook’s Cut (2004) – Part I”. Modern Korean Cinema. Web. Posted 14 July 2013. Available at http://www.modernkoreancinema.com/2013/07/revenge-week-filmic-self-reflexivity.html. Accessed 14 October 2015. Spike Marshall. “Spike’s Top 20 Films of the 00s: #20 Oldboy”. What Spike Likes. Posted 06 July 2009. Web. Available at https://whatspikelikes.wordpress.com/2009/07/06/spikes-top-20-films-of-the-00s-20-oldboy/. Accessed 13 October 2015. Next Next post: What is Action On The Side?